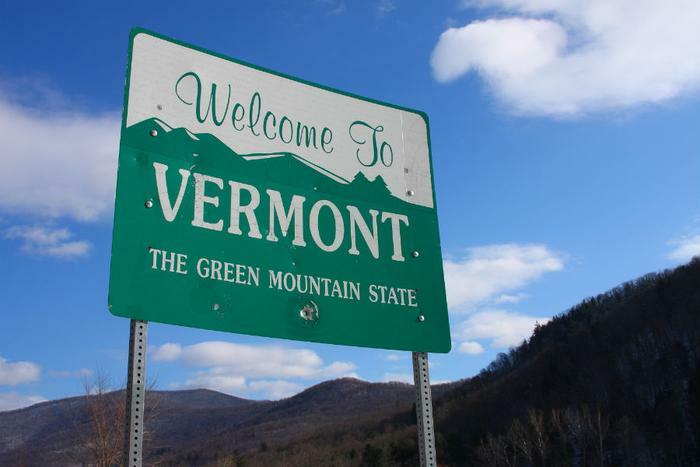 On May 30, Vermont Governor Phil Scott signed a bill into law that would allow remote workers to move to his state and earn $10,000 over a two-year period. The initiative will start in January 2019, and the stipend is designed to cover relocation expenses, coworking memberships, computers, internet, and other work-related costs. The money will be available as a tax grant, and it will be awarded on a first-come, first-served basis. Those interested must work full-time for an out-of-state employer and should be committed to becoming Vermont residents. A total cost of $125,000 will be available for the program in 2019, followed by $250,000 in 2020 and $125,000 in 2021. Should funding continue after that point, subsequent years would yield $100,000 towards the program. This initiative is aimed at young, remote workers for a very good reason: Vermont is shrinking -- and aging -- pretty rapidly. Earlier this year, USA Today released an article on the fastest growing and fastest shrinking states in the United States. Vermont was number three on the fastest shrinking list, which can be largely contributed to out-of-state migration. Moreover, as of 2017, the U.S. Census Bureau estimated that Vermont had only 623,657 permanent residents. In signing this new bill into law, Scott is hoping to bolster the population with a new demographic of young employees that will remain in the state. The trouble isn’t attracting people to visit -- Vermont sees nearly 13 million visitors every year. However, Scott and his administration are looking to gain permanent residents and believe this is the first step in doing just that. Additionally, Vermont is aging faster than any other state in the country. As of 2015, the average age of a Vermont resident was 42.8. As recently as 1990, the average age was 33. In the last 25 years, the average age of the country as a whole rose five years to 37.8, but Vermont’s rose by 10 years. In addition to this new remote worker legislation, Scott and his administration started the Stay to Stay Weekends program throughout the state, which is designed to bring together visitors, business owners, and residents. “The Stay to Stay Weekend program is a lodging and networking package to connect guests to employers, entrepreneurs, and potential neighbors in local communities around Vermont,” the website states. Over the course of the weekend, guests will network with area professionals, meet others interested in relocating to Vermont, and talk with business owners, state and local legislators, and community leaders. By the end of the trip, guests have the opportunity to meet with hiring employers, set up a tour with local realtors, or visit a co-maker space to meet with other professionals. The weekends are held in April, June, August, and October, and held in various cities throughout Vermont. “Thirteen million people come to Vermont each year, and many of them express a desire to stay permanently as residents,” said Wendy Knight, commissioner of the Vermont Department of Tourism and Marketing.